How does auto update work? 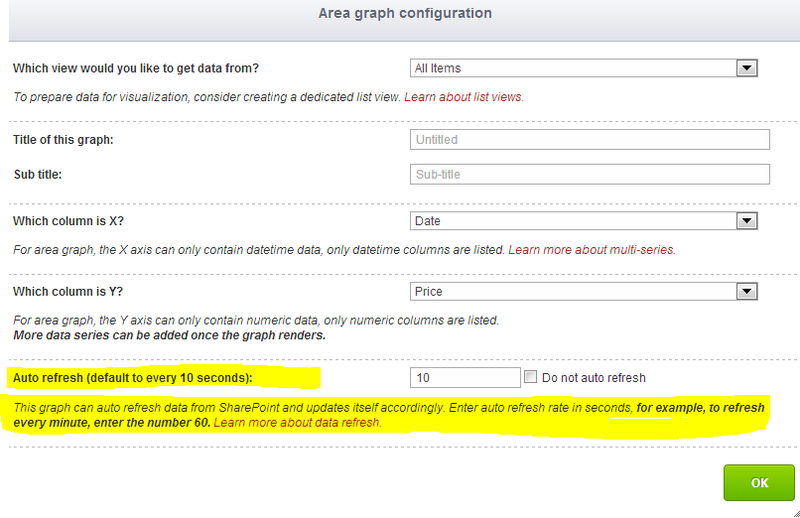 Each visualization has the ability to periodically get latest data from SharePoint and update itself. 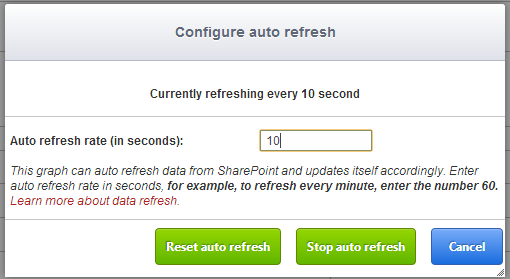 When creating a new visualization, you can choose how often it auto refreshes from SharePoint.